Happy Tuesday, Inclusion Lab readers! 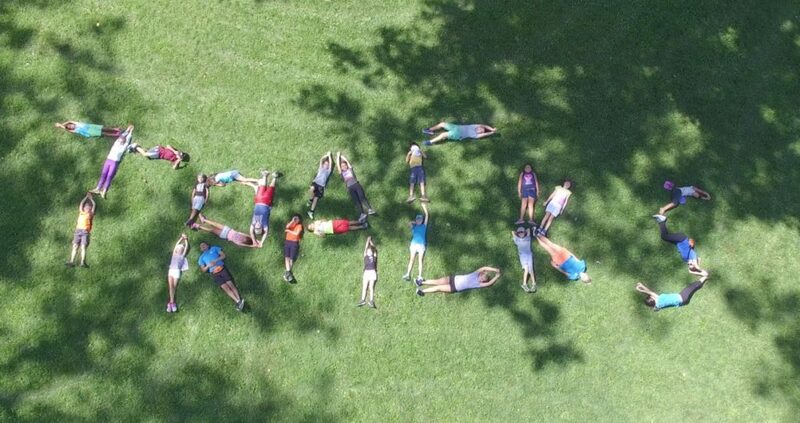 Today we’ve got a great guest post about Camps on TRACKS, an Ontario-based camp that promotes inclusion through peer-mediated social skills. Kids who attend the camp learn how to be better friends, with the ultimate goal of building meaningful relationships and developing enhanced social skills. Project Lead Sarah Smith is here with us today to talk about Camps on TRACKS and the positive impact it’s had on all of its attendees. Read on to learn about this innovative approach from our Canadian neighbors! When you walk into a camp, the first thing you see is children playing. With a closer look, your eyes may focus on Matthew, a camp counselor standing off to the side with Angela, a camper with autism spectrum disorder (ASD). Angela is sitting on the floor with a piece of paper and crayons while her peers have joined a circle in the middle of the room. If you hang around long enough, you might see a peer leave the circle and approach Matthew, asking why Angela is on the sidelines. They may ask Matthew if Angela is going to play the game as well. This is the inclusion we were used to before TRACKS. 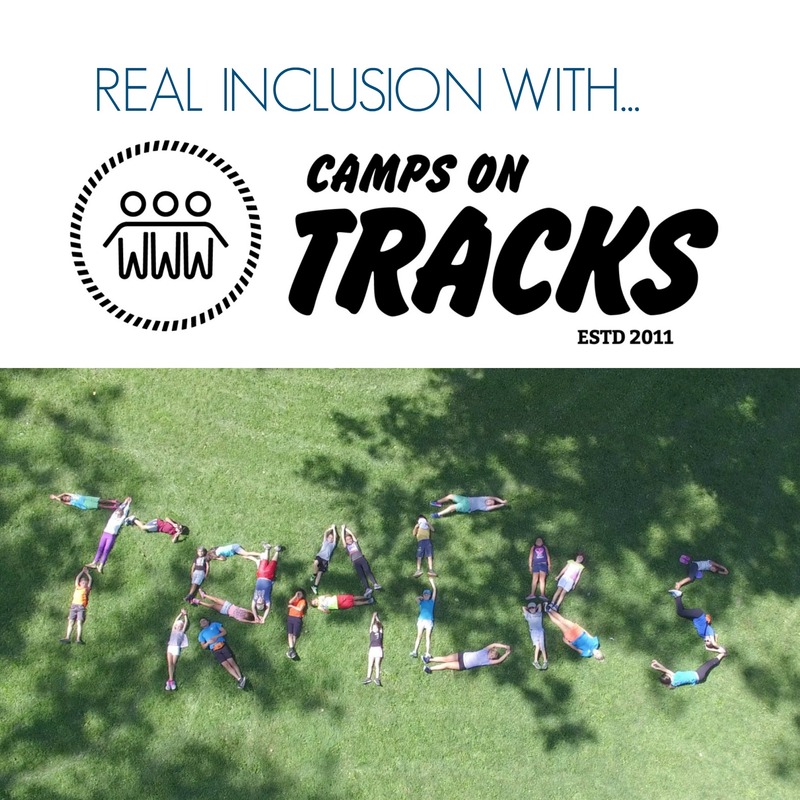 Born in 2011 out of a need for true inclusion, Camps on TRACKS was created through collaboration between the City of London, Fanshawe College, and Thames Valley Children’s Centre in London, Ontario, Canada. In 2016, the Ontario Trillium Foundation provided a 3-year grant to this program to help deliver it to the rest of Ontario through on-site trainings, as well as to launch a website complete with online training. Camps on TRACKS was originally created for the camp setting, but it has also been implemented within schools and other organizations. 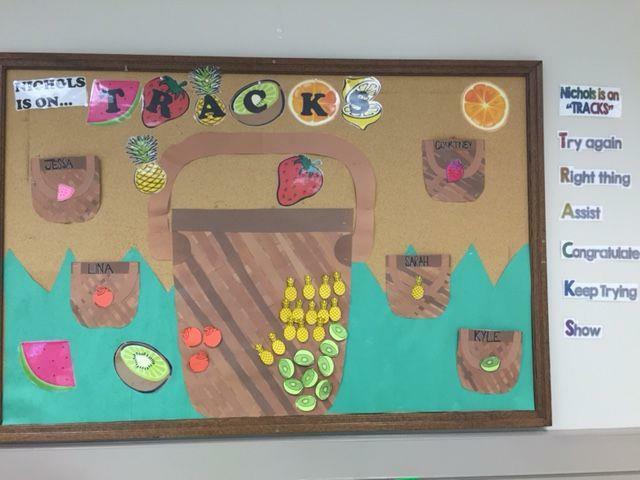 TRACKS, as it is often referred to, uses peer-mediated social skills to increase interactions between children, while helping them build and sustain meaningful friendships. At the time of its creation, we were seeing inclusion happening in a physical sense in our camps and other environments. Children with all abilities were welcome; however, the adult-mediated approach paired a child and adult together, and they became friends instead of the child making friends with his or her peers. After seeing this occur, the previously mentioned organizations implemented a peer-mediated approach that had already been introduced in schools, adding a partnership between therapeutic recreation, community recreation, and applied behaviour analysis within the camps. What are Peer-Mediated Social Skills? The TRACKS approach involves teaching typically developing peers some effective strategies to include campers of all abilities. Social skills are taught to the whole group, and camp counsellors then encourage and prompt peers to use these strategies with children who have disabilities. Try Again (Persistence): Peer interactions are not always successful the first time. This may be due to the increased processing time that children with disabilities may require, not hearing the invitation, or a need for additional support for him/her to feel comfortable socially. Teaching peers to “persist” or try again will increase opportunities. Right Thing (Correcting): Children with disabilities may struggle with understanding the appropriate social rules to use in various contexts. Give peers the tools to make the child aware of when he/she is not acting in a socially appropriate way. Assist (Prompting): Teach peers how to prompt a child with a disability. Offer examples of visual cues, effective gestures, and words they can use that are effective for that particular child. Congratulate (Reinforcement): Everyone benefits from positive reinforcement! Teach peers how to reinforce their peers in multiple ways, whether it’s with their words or giving a high five. Talk to peers about specific items or activities that are reinforcing for the child (i.e., a turn with a ball, talking about their special interest). Keep Trying (Persistence): Like Try Again, Keep Trying focuses on encouraging peers to persist after unsuccessful interactions. By trying more than once, they increase the likelihood of creating a successful interaction. Show (Modeling): Children with disabilities can learn by watching others perform the desired activity. Teach peers how to model certain activities for the child. Highlight the benefits of showing rather than doing it for the child. Throughout the implementation of the TRACKS program, the focus has shifted from campers helping their peers with ASD to campers helping each other to be a good friend. Both the counselors and parents have seen firsthand the difference this program has made in the lives of all children. Now, when you walk into a camp or other organization trained in TRACKS, you will still see kids playing–but you’ll also see kids helping kids and working together with little adult involvement. You’ll see Dominic approach Angela and ask her to join them. You’ll see Heather showing Julia how to play a game, Jonathan assisting Cameron in handing out the craft supplies, and Tim giving Samantha a high five for joining an activity. 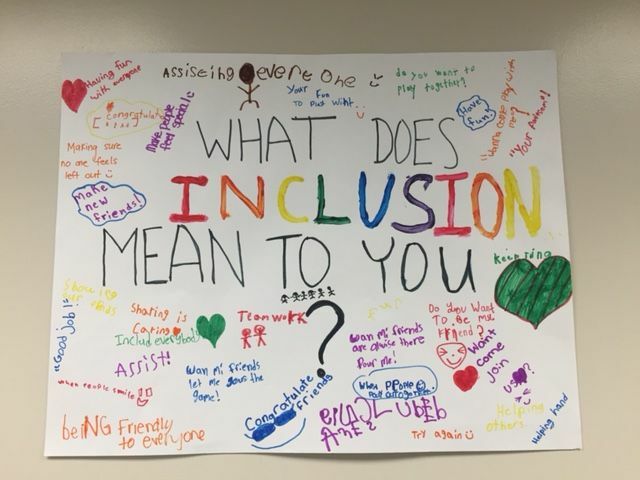 You’ll see an environment that offers true inclusion for all kids, which will help create meaningful friendships. If you enjoyed today’s guest post, please leave a comment and share the post with your friends and colleagues. For more information, please visit the Camps on TRACKS website, where you can take the online training, or contact them at campsontracks@tvcc.on.ca. You can also follow them on Twitter (@campsontracks) and on Facebook.